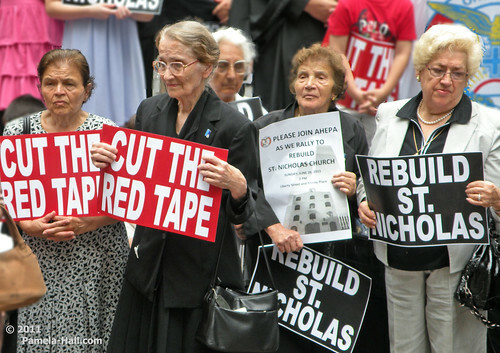 CUT THE RED TAPE!! 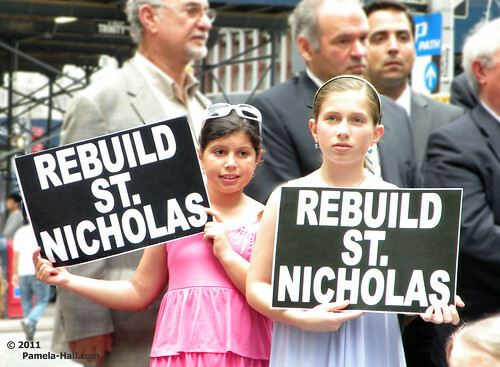 REBUILD NOW!! 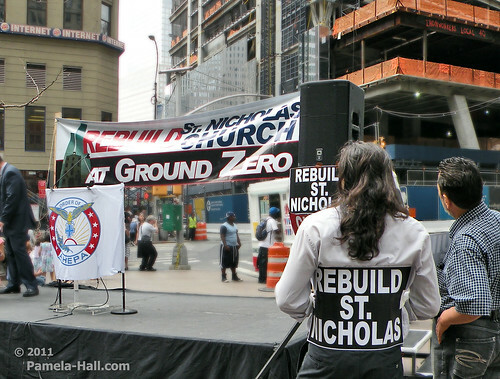 TEN YEARS AFTER 9-11 they are still asking, "How long must St. Nicholas WAIT to Re-Build?!" 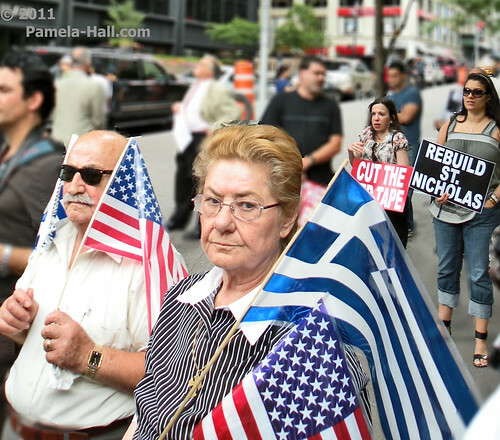 was host to this rally at Ground Zero .....calling for St. Nicholas Greek Orthodox Church to be rebuilt at 130 Liberty Street. 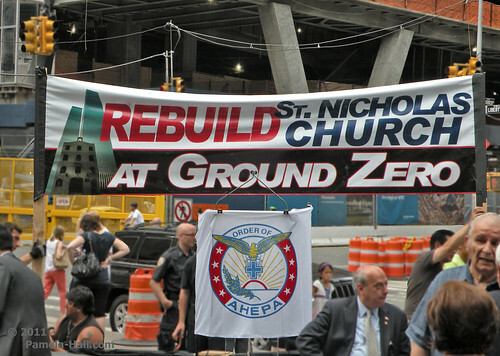 The rally was on Sunday, June 26, 2011, 2 p.m., at Liberty Street and Trinity Place in Lower Manhattan... across from Ground Zero. 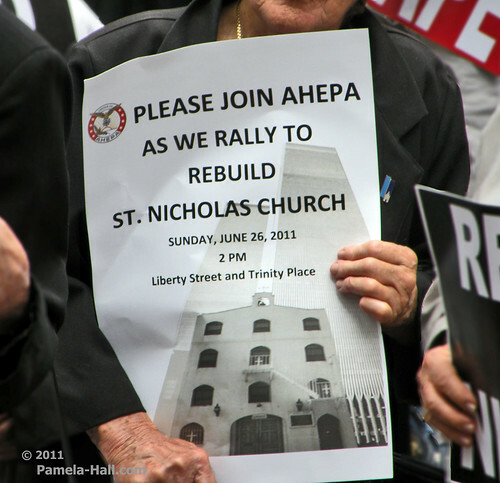 Where generations of a church...that has been there since 1913...came together.... BEGGING to rebuild their Church! 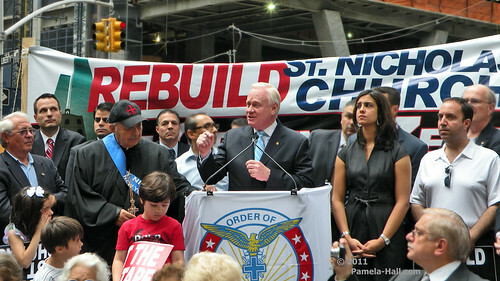 Federal, state, and local legislators were invited to attend, many were there, speaking to the OUTRAGE and stonewalling of the Port Authority and NYC and State politicians who have kept St. Nicholas from being rebuilt. 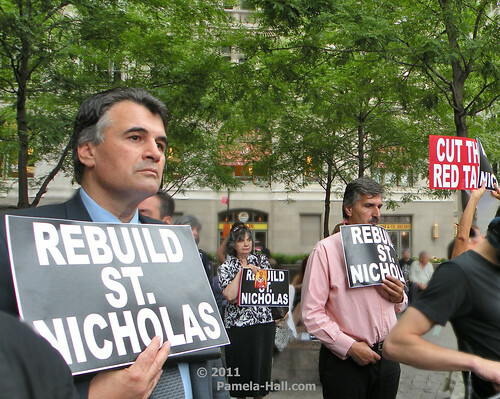 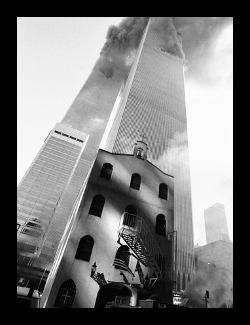 While TEN YEARS LATER , negotiations to rebuild St. Nicholas Greek Orthodox Church, the only house of worship destroyed in the attacks of September 11....negotiations between the Greek Orthodox Archdiocese of America and church representatives and the Port Authority of New York/New Jersey came to a halt in August 2010. 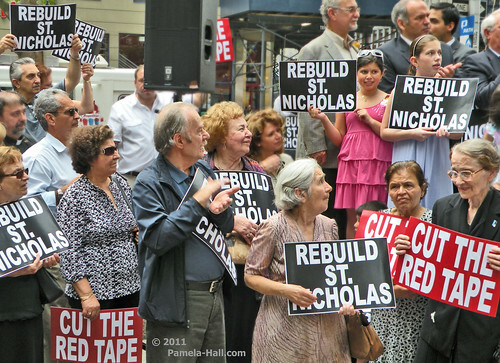 The people of St. Nicholas ask : WHY? 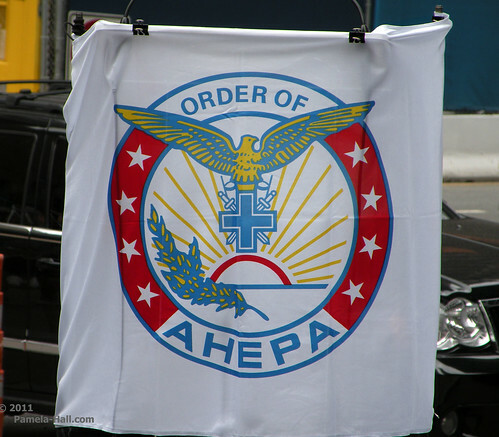 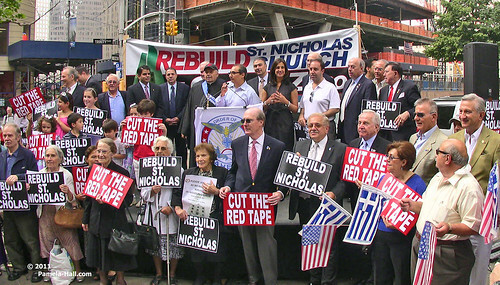 In support of the effort to rebuild St. Nicholas at 130 Liberty Street, a site chosen by the Port Authority, AHEPA submitted more than 20,000 signatures . 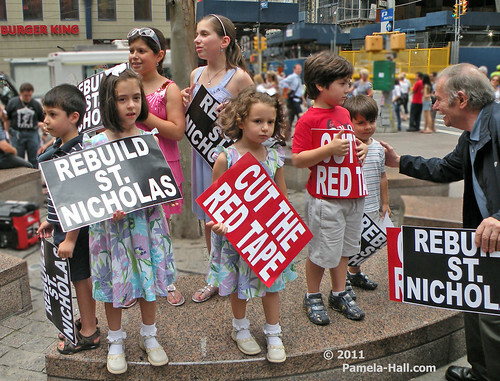 They held this rally to cry out to the City of New York and Mayor Bloomberg: CUT THE RED TAPE !